Reading aloud is a powerful medium that breathes life into the words on a page. Many of us have fond memories of reading aloud with a parent, grandparent, teacher, or loved one—memories that help shape us as readers and as people. March is National Read Aloud Month, and to celebrate, we spoke with two leaders at Panda Cares (the philanthropic arm of Panda Express Restaurant Group), one of Reading Partners’ national signature partners. Kevin Holmes and Ani Avanessian share their thoughts about the importance of reading aloud and their favorite children’s books. Q. Why do you feel reading aloud is important, and how has reading aloud impacted on your life? A. As a child, many of my memories centered around story time with my mom who was a second-grade teacher. My mom brought books to life in such a way that pulled me right into the story. As I read to my seven-year-old son now, I try to unleash his creativity in the same way my mom did for me. I focus on becoming the characters as I read, using hand motions and inflection to ‘act’ the story for him. As a result, he is able to understand how words sound and what they mean, and it allows him to see me expressing myself creatively, which enables him to explore his creative side, too. A. We love The Book with No Pictures by B.J. Novak. First of all, I love The Office, and he wrote (and acted) in that show. 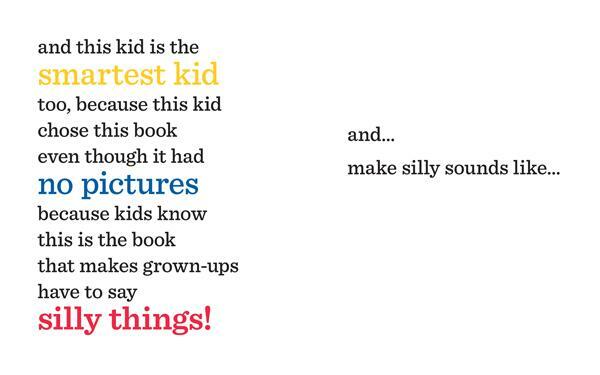 The book literally is a book with no pictures for adults to read aloud to kids. Once you start reading, there are a ton of silly words and tricks. The book makes my son laugh wildly. It shows him that a book, even without illustrations, can be imaginative, engaging and fun. Plus, what child doesn’t like to see their parents acting silly and making funny sounds? Q. Why do you feel reading aloud is important, and how has reading aloud impacted your life? A. Reading aloud is important because it helps to develop a child’s vocabulary and early reading fluency. For me, it established a love for reading. Now, my fondest memories are when I was read to by my parents. Reading avidly helped me expand my horizons and become an effective communicator. Now, reading nightly with our children is one of our favorite times of day. We get to slow down, connect, and read together. A. There are so many to choose from! 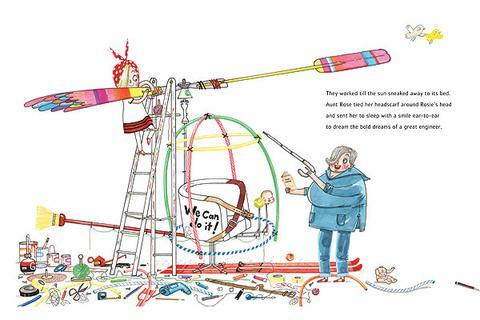 One of our current favorites is a book by Andrea Beaty, Rosie Revere, Engineer. It’s an endearing story that encourages my young creative daughter to never give up. My son also loves The Pout-Pout Fish by Deborah Diesen. With colorful illustrations and clever rhymes, we love this book that reminds us to choose to be happy. Reading Partners is grateful for Panda Express’ support, who is committed to the health and education of underserved youth. As we continue to celebrate National Read Aloud Month across the country, we hope that you’ll take the time to reflect on your favorite children’s books and read aloud to the children in your life. Together, we can empower students with a love of reading that lasts a lifetime!